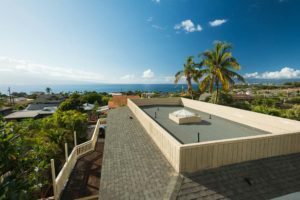 There is a major difference between fixing a roof on Maui that is leaking and installing a roof that is well-designed and has no leaks! We have years of combined experience in the roofing industry, with extensive knowledge in state-of-the-art technology. We guarantee that your roof will be repaired and completely leak-free by the time we leave! 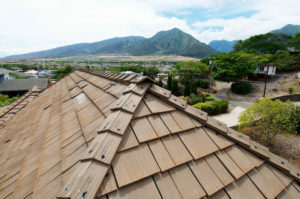 We specialize in commercial roofing, as well as residential roofing services on Maui. This means that we can handle any roofing emergency promptly. Whether you have a major leak or simply want us to come survey your property for a roof installation, we can handle any need you may have. Regular inspections of your roof will reveal any issues before it causes major damage. All roofs are subject to the wear and tear of intense sunlight, heavy rain or snow, and wind or hail damage. Our expert roofers can inspect and maintain your home or commercial property, ensuring the longevity and performance of your roof. Most leaks can easily be fixed if handled as early as possible. Our roofers can guide you in doing ground inspections, so you can easily spot loose shingles or other problems before they cause major damage.